Roger Scatton on left and Rickat Cu Chi base camp. 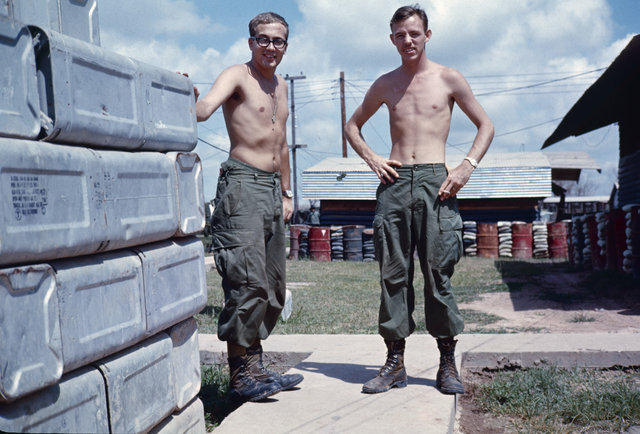 No extra pounds on those men as it was with most American soldiers in Vietnam. Saw only a couple of fat rural Vietnamese.